Do you need a Westover Hills, Texas traffic ticket attorney? Jack Byno & Associates is a Tarrant County law firm dedicated to traffic ticket defense. I am Jack Byno and since 1994 I have representing clients with CDL violations, traffic warrants, speeding tickets, and driver's license suspension hearings . The attorneys of my law firm are here to assist you with your Westover Hills traffic tickets. Contact me to discuss your options. Do You Need Help With A Westover Hills Speeding Ticket? When you receive a speeding ticket in Westover Hills the law requires that you appear before the court on or before the appearance date on the citation. The law does permit an attorney to appear on your behalf. I am Jack Byno, a traffic ticket attorney that represents clients in all of the municipal courts of Tarrant County, Texas. I have been representing clients with speeding tickets since 1994. If you have a Westover Hills speeding ticket contact the attorneys of Jack Byno & Associates. Sometimes people just do not take care of their Westover Hills traffic tickets on time. Sometimes there is a good reason and other times there is not. Once a Westover Hills traffic ticket goes past due and a warrant is issued, bond must be posted in order to lift the warrant. If you retain services of Jack Byno & Associates, I will post bond to lift the warran t. Once you are out of warrant status, the Westover Hills Municipal Court will give me a court date. I will appear and plead your case out. Then I will notify you of the outcome. Contact me to lift your traffic warrants in Tarrant County. If you have a commercial driver's license (CDL) and you have a traffic ticket in the Westover Hills Municipal Court you need an lawyer with experience. I am Jack Byno and I have been defending CDL holders in Tarrant County, Texas since 1994. The attorneys of Jack Byno & Associates understand that even a speeding ticket may effect your means of making a living. As a truck driver defensive driving and probation are not available. 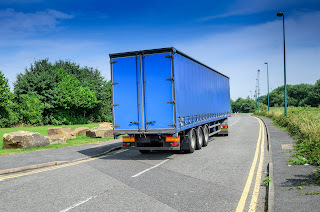 Contact me to discuss how our lawyers can help you with a CDL violation in Westover Hills, Texas. The lawyers of Jack Byno & Associates has been representing clients with traffic tickets in Tarrant County, Texas since 1994. If you have a speeding ticket or you need a traffic warrant lifted contact me . Do not delay in taking care of your Westover Hills traffic warrants! The statewide warrant roundup is going on right now! Special note : The statewide warrant roundup has begun! More about Texas Statewide Warrant Roundup .